All roads will lead to Hosur Aerodrome this weekend, for car and bike enthusiasts of the city. Team 46 Motor Racing is hosting a drag racing championship at this airfield, privately held by Taneja Aerospace and Aviation Limited. It is the second time that such an event is being held on a private airstrip in India. Three years ago, an international drag race, called Valley Fest, was conducted at the Aamby Valley airstrip, near Lonavala. So, expect plenty of high-speed action on the 2.2 kilometre-long, 45 metre-wide tarmac, with a fleet of Indian and foreign automobiles ready to show off their skills. Raghavendra Ashwath-anarayana, executive director of Team 46 Motor Racing, tells us about Bengaluru Drag Fest 2016, a�?Close to 600 racers have signed up, including 20 female participants. They are from Bengaluru, Coimbatore, Kochi, Hyderabad, Chennai, Goa, Mumbai and other places. Some are just above 18, while a few are well over 60.a�? At the fest, bikes, and cars will face-off in 24, and 30 different categories respectively. Day 1 will be all about Indian bikes, and scooters (Yamaha RD350, KTM 390 Duke, Ninja 250R, Royal Enfield, Activa, Suzuki Access 125). Fifty custom-built drag bikes, featuring Yamahas, KTMs, and Hondas, will also vroom off the quarter-mile race belt. On Day 2, the focus will be on foreign superbikes (above 600cc), such as Yamaha YZF-R6, Honda CBR 600, Suzuki-GSXR 1000, and the hottest item in the market, Kawasaki Ninja H2. Then, cars will also follow suit. 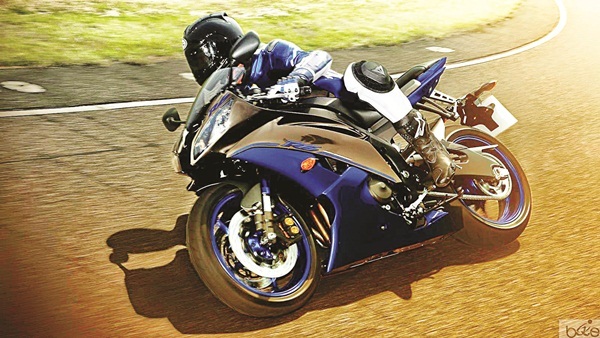 Expect cars like the Honda Accord, Maruti Esteem, Swift, Skoda Octavia vRS, and even a Reva, that has been customised with a turbo-charged Hayabusa engine. Honda City, and Civic will feature in the nitro fuel category. Foreign car models set to participate include Jaguar, Nissan GT-R, Mercedes-Benz SLK55 AMG, Lamborghini, Porsche, etc. You can also walk through an auto expo at the venue, showcasing beauties from the BMW M series, the Mini Cooper, Benelli and Kawasaki bikes, as well as off-road jeeps. Ashwathanarayanaa��s team will set up shaded seating areas with coolers, food trucks, and juice stalls, and even a DJ to make the event more spectator-friendly. He plans to host two more dragrace fests by the end of the year. He says, a�?We are trying to promote drag racing as a safe sport in India, by providing youngsters safer stretches to ride on. We do our events after securing permissions, and safety clearances from Federation of Motor Sports Clubs of India.a�? May 28-29. At Taneja Aerospace and Aviation Limited, Hosur.